The 2012 Global Angel Awards & Concert – Thank You! Friday 9th November saw the stars turn out for the second annual Global Angel Awards. Joss Stone, Beverley Knight, Lizzie Cundy and Lenny Henry were all amongst the famous faces in attendance at the event, held at The Brewery, London. The Global Angel Awards honour the philanthropic endeavors of some inspirational companies and individuals, who share the vision and passion of Global Angels; to make the world a safe and kinder place for all. It was wonderful to see the generosity of everyone involved in the evening, from the artists who donated their performances, our guests, and even the amazing auction prizes, all given to Global Angels to raise funds on the night. Cotswold Wildlife Park donated an evening for 12 people sleeping under the stair with lions, with a short visit with Ambassador Bear Grylls over a BBQ, and there were two exclusive trips visiting projects with our founder, Molly, up for bids, one to Mozambique and one in Kenya. We are thrilled to confirm that over £100,000, was raised for the charity, with funds being specifically designated to provide the following: 2 brick making machines to build medical clinics in Mozambique; a water well in Tanzania serving a village of 4,000 people; 24 water wells to provide safe drinking water for 24 villages in rural India – that’s 24,000 people; the completion of the ground floor for a 300-child school in rural Uganda and life-changing hare lip and cleft palate operations for 9 children in the Philippines. 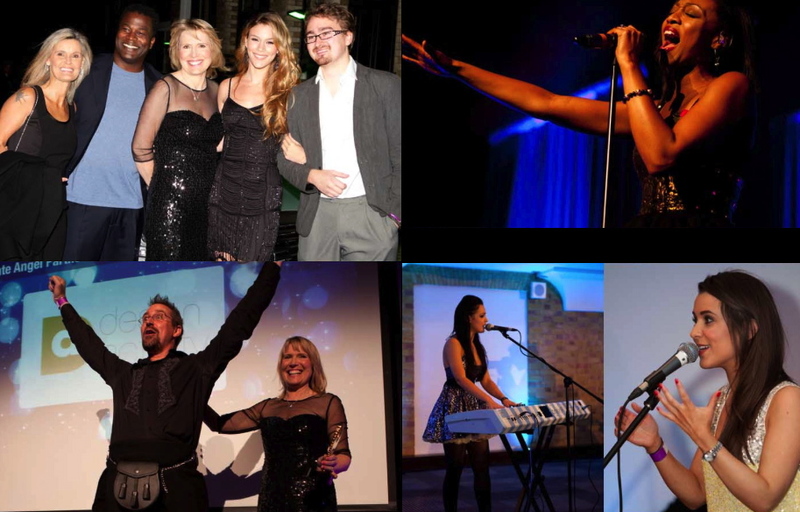 Angels in Concert, hosted by our fabulous Global Angel Ambassador, Joss Stone, was truly amazing. Joss took to the stage to give several spine-tingling performances and was joined by Beverley Knight, Sandie Shaw, Leigh Coleman, Joe Leader and the Mama Stones House Band and a truly amazing pre-party with Ambassadors, I Am Tich and Raphaella to create a magical evening full of spectacular music. The after-party guests were treated to a brilliant DJ set by DJs Oisin Lunny and Deckscar. Everyone had a great time. Please scroll down for a few of our favourite photos from the evening. Some amazing pictures were taken by our photographers, Brad Inglis (UBPICS), RGB Digital and Martyn Strange and we will be uploading lots more to our Facebook page later in the week. We would also like to thank our sponsors and partners for the evening, who together helped us create The 2012 Global Angel Awards.